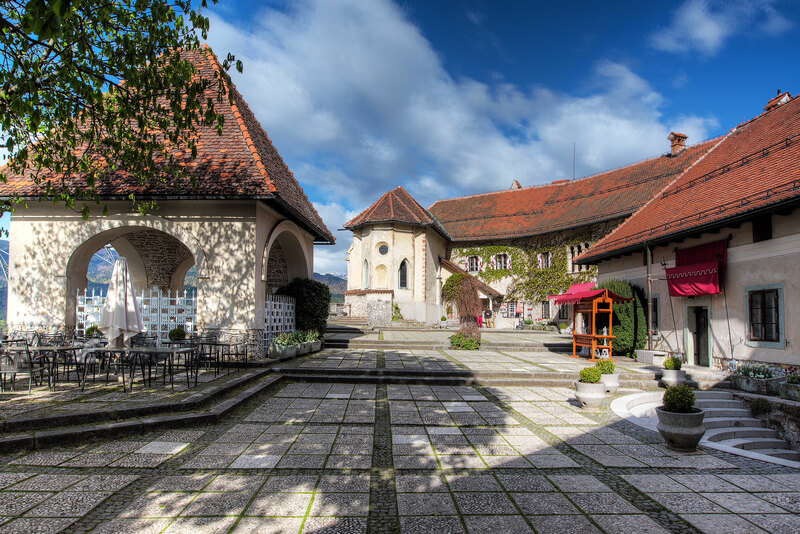 With immense natural beauty, Bled, together with its surroundings, ranks among the most beautiful alpine resorts, renowned for its mild, healing climate and thermal lake water. The beauty of the mountains reflected on the lake, the sun, the serenity and the fresh air arouse pleasant feelings in visitors throughout the year. The feature that makes Bled so special is most certainly its surrounding nature. It has shaped the most beautiful forms, gave them a touch of delicacy and coloured them in wonderful colours. The most recognizable symbol of the lake is the Church of the Mother of God on the Lake with its long and diverse history, however the lush greenery also hides other interesting island buildings, like the bell-tower, church, chaplain's house, provost's house, small hermitage and some mysterious legends. 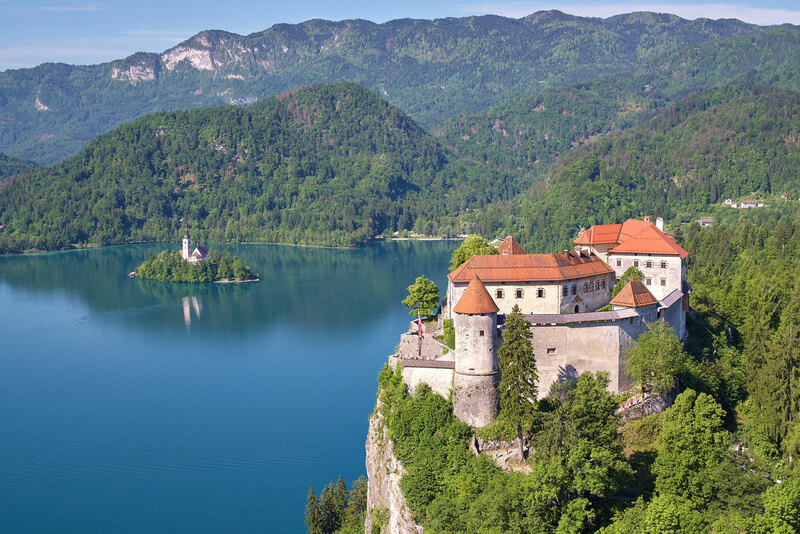 When the Bohinj glacier moved to the north during the ice age, and by doing so shaped the basin of the present Lake Bled, it found itself in front of one more obstacle. The high limestone mass at the northern side of the lake was not particularly damaged by the glacier. Consequently it became a home for the castle which stands there ever since the Middle ages and which also gave this solitary hill its name. The hill rises magnificently 139 m high and offers splendid views for miles around.